An exotic flute that is reminiscent of the sounds of a land far away ushers us into a chic bassline that seems intent on infecting us with its swaggering march. The drums enter the fold, and while they’re abrasive and full of a reckless abandon that speaks to the inhibition of youth, they’re kept from running right off the rails by the boisterous low-end in the ensuing synthesizer melody. Aliché starts to sing in her honeysweet voice, and suddenly an air of unrestricted sexuality washes over every inch of sonic intensity penetrating our speakers. In her new single “Cleopatra,” the rising R&B star pulls out all of the big guns and riddles a simple harmony with vivacious textures that are as moving and evocative as anything that you would find in a museum of fine art, but don’t be fooled by this song’s multidimensional sonic profile. It’s a far cry from the trite, inaccessibly surreal nattering that has overwhelmed contemporary R&B with pointless experimentation, and yet it ferociously breaks away from the conventional with an urbane stylization that is bound to keep Aliché’s name in the headlines as we head into summer. “Cleopatra” is slickly produced, but none of the natural tonality in our lead singer’s voice is sacrificed in the construction of this unbelievably catchy hook. There’s a layer of pulsating percussion that separates Aliché’s vocal from the brazen bassline, and to some extent it helps to define the tension in the lyrics in a way that doesn’t interrupt the fluidity of the verses in the least. On the one hand, the synthesized harmonies that are shadowing each and every lyrical emission from Aliché are volatile, uncompromising and seemingly ready to pounce on us around every twist and turn that the song has in store for us. However, on the other hand, there’s really nothing going on behind the soundboard to prevent the words from capturing the lion’s share of our affections from the very second that they subtly start ripping through the intimidating structure of the intro. There’s nothing to get between artist and audience in this single, and that’s something that just can’t be said of the bulk of output that we’ve seen from Aliché’s peers in 2019. 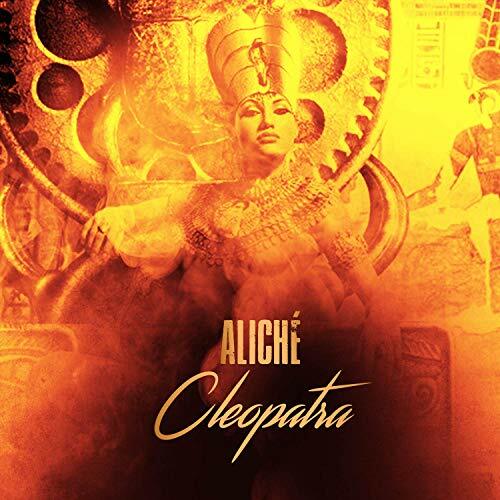 Aliché has been on quite a whirlwind trajectory towards superstardom since the release of Exx, and from where I sit, “Cleopatra” is only adding fuel to an already out of control wildfire. There’s too much passion, too much heart, and clearly too much attention to detail, for anyone to dismiss what this vibrant young songwriter is doing in and out of the studio at the moment, and while we’re gearing up to see some really ambitious releases this year, I have a feeling that this is going to stand out as one of the more solid singles cut in the R&B genre. It’s danceable enough for the club crowd, but it’s surreal, multifaceted approach to its stately harmonies appeals to a much more discriminating group of music fans who have been waiting for a singer of this caliber to come around for a long time now.